The mortality rate for acute GVHD is over 80 percent. And there are no reliable molecular markers that indicate the onset or reflect the severity of a post-transplant reaction. Currently there are no FDA-approved therapies for this disease. The ability to treat acute GVHD is thus a major unmet medical need. 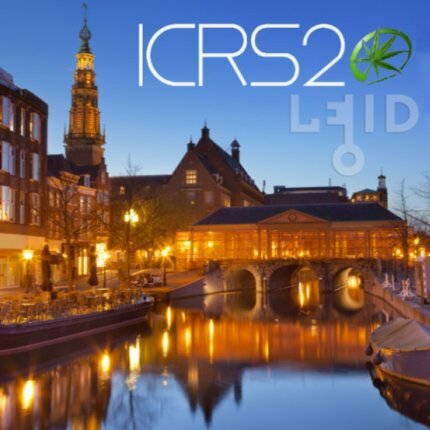 The Israeli study, “Cannabidiol – An innovative strategy for the treatment of graft versus host disease,“ was featured on Day One of the 2018 International Cannabinoid Research Society conference, which convened this summer in the picturesque Dutch city of Leiden. Over 500 delegates from around the world attended the annual four-day gathering, where they discussed cutting-edge developments in cannabis science and medicine. This year’s ICRS conference featured 58 oral presentations, including four keynotes, and 235 posters that covered a wide range of topics. CBD figured prominently in many of these reports, which also explored the health benefits of tetrahydrocannabinol (THC) and other plant cannabinoids. But the main focus, as always, was on the endocannabinoid system itself, which mediates many of the effects of cannabis. Parkinson’s. 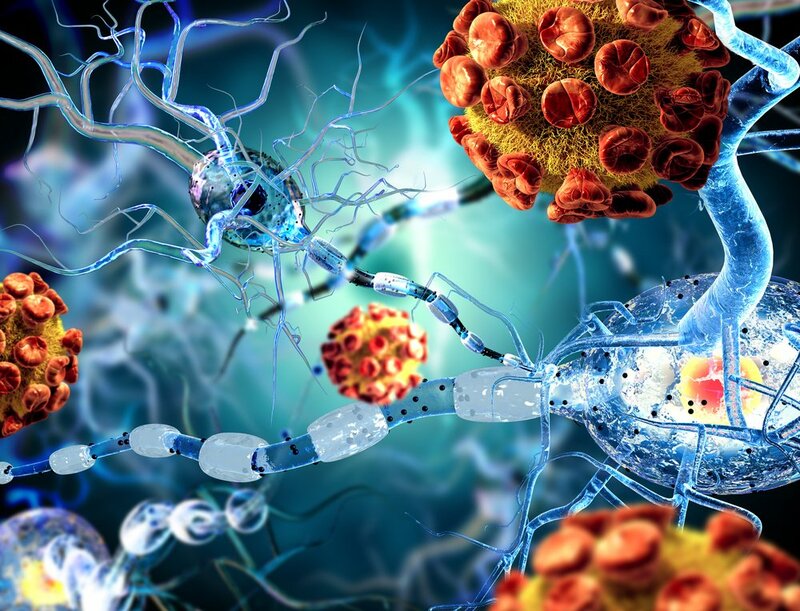 Brazilian researchers found that 30 mg/kg of pure CBD reduced the loss of dopaminergic neurons in the brain regions implicated in Parkinson’s. Stroke. A University of Nottingham (UK) team determined that cannabidiolic acid (CBDA, the raw version of cannabidiol that exists in the plant before it is harvested, heated and decarboxylated into CBD), acting through the 5-HT1A serotonin receptor, is neuroprotective in a cellular model of a stroke. Neonatal brain trauma. Spanish scientists studied CBD’s neuroprotective properties in a neonatal rat model of hypoxia ischemia (brain damage from oxygen and nutrient restriction) and linked these effects to the CB2 cannabinoid receptor. The researchers surmised that there was no “direct action of CBD on CB2 receptors,” but noted that the data was consistent with the possible involvement of “CB2/5-HT1A heteromers.” Heteromers occur when different receptors conjoin to form novel signaling mechanisms – in this case, the CB2 cannabinoid receptor (which CBD does not activate) and 5-HT1A, a key serotonin receptor (which CBD activates). Clara Andradas, a medical scientist at the Telethon Kids Institute in Western Australia, has been researching potential applications of cannabinoids for treating pediatric cancer, specifically malignant brain tumors. Her poster disclosed that CBD and THC reduced the viability of brain cancer cells, an effect mediated in part by the CB2 cannabinoid receptor. Moreover, “the combination of cannabinoids with conventional chemotherapies enhances the anti-proliferative effects in these cells,” she concluded. Temple University scientists assessed the therapeutic impact of CBD combined with beta-caryophyllene (BCP), a versatile terpene present in many cannabis cultivars, kitchen spices, and green vegetables. Unlike cannabidiol, BCP directly activates the CB2 receptor, which modulates immune function and neuroprotection in response to brain trauma. The two compounds together “showed a statistically significant reduction in infarct size,” according to the investigators, who concluded that “combination therapies can provide a greater benefit than single treatments alone” and should be explored further for treating ischemic stroke and other diseases. Anecdotal accounts from cannabis consumers attest to the benefits of artisanal, terpene-rich remedies. Whistler Therapeutics, a boutique medical marijuana company in British Columbia, surveyed Canadian patients to assess the analgesic impact of different aromatic terpenes in cannabis. Imbued with their own medicinal properties, terpenes interact synergistically with CBD, THC and other plant cannabinoids. For pain management purposes, the best results were obtained using cannabis varietals with noteworthy concentrations of myrcene and trans-nerolidol.